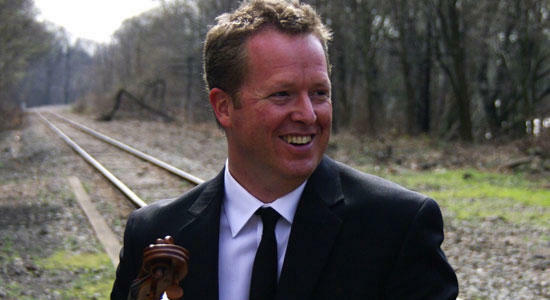 Guest viola soloist Brett Deubner will be featured in "Nicolo, Jimi & John; A New Concerto for Viola," composed by Charles Nichols and premiered by the Missoula Symphony Orchestra on November 9th & 10th, 2013, 7:30 and 3pm, Dennison Theater, UM-Missoula. Darko Butorac on the Missoula Symphony Orchestra's November 2013 concerts. Join host Marguerite Munsche Sunday evening for a broadcast of the first concert in the 2013-2014 season of the Missoula Symphony Orchestra, Darko Butorac, music director and conductor. Friday, October 18th, 2013: Michael Marsolek talks with Allan R. Scott, Music Director of the Helena Symphony Orchestra, about this weekend's performance commemorating of the 200th birthday of composer Guiseppe Verdi. Far removed from common notions about choral music are the choirs that participated in Missoula’s 2013 International Choral Festival. They came from Australia, Germany, South Korea, Finland, Canada, Lawrence, Kansas, China, Switzerland, New Jersey, Poland, Taiwan, California, Estonia, and Costa Rica to sing in packed auditoriums and in city parks for four days in July.